The summer heat may be fading, but retailers are still hot for unique, natural products. The past few months have seen several notable additions by forward thinking retailers including Target, Safeway and Costco. Nut butter brand Yumbutter was picked up by Safeway stores in the retailer’s Northern California and Rocky Mountain regions. The brand differentiates itself from other nut butter options with the additions of GanedenBC30 probiotics, superfoods and seeds to its products as well as with its unique squeezable, resealable pouch packaging. Before the Safeway addition, Yumbutter was sold in 2,200 retailers including Target, several Whole Foods Market regions, Wegmans, Earth Fare, Lassens and Fresh Thyme. 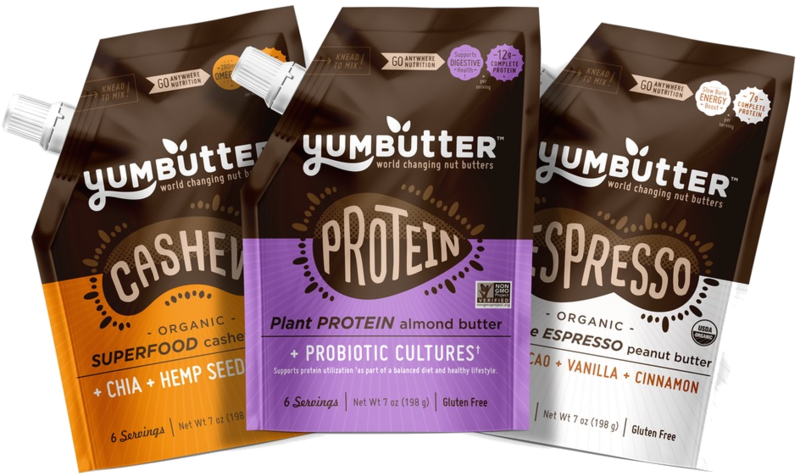 Earlier this spring Yumbutter underwent a brand redesign and launched three new SKUs: Organic Superfood Cashew, Organic Fairtrade Chocolate Espresso Peanut Butter, and Plant Protein + Probiotic Almond Butter. Ice cream and ice cream novelty brand Coolhaus has been added to the shelves of 25 Targets as part of the retailer’s summer “LA Local” program, which features local brands in SoCal Target stores. Target elected to add the brand’s pints, ice cream sandwiches and ice cream bars to store shelves. The products will remain in stores at least until fall, but have the potential to be picked up longer. Coolhaus was already in 4,500 retailers nationwide including independent gourmet markets, Whole Foods, Sprouts, Kroger and Safeway. Another local brand heading into Los Angeles and Orange County Target stores is Oh! Yes Foods. The brand is known for its line of frozen pizzas with 12 fruits and vegetables hidden in the crust and sauce. Target will add the brand to 25 stores and is picking up four varieties of its 10 inch pizzas (wheat and gluten-free crusts with mozzarella or dairy-free cheese). The MSRP for the wheat pizzas will be $7.99 while the gluten-free varieties will retail for $8.99. Oh! Yes pizzas are sold in California, Arizona, Nevada at retailers including Ralph’s, Whole Foods Market and Lassen’s. Ethically sourced chocolate maker Chuao Chocolatier launched in 7,800 CVS drug stores this summer. The brand was excited to develop the relationship because it places the gourmet-leaning bar in front of a new group of consumers. The product also adds a higher priced option for CVS shelves beyond category staples such as Dove and Hershey’s. The Southern California based Chuao has a line of chocolate cafes where its products are sold, and has placement in major retailers including Starbucks, REI, Cost Plus World Market and select Whole Foods Markets. York, PA based Nuts About Granola has been added to the shelves of 89 Costcos in the Northeast region, from Maine to Maryland. Previously in 20 retailers, the brand will see its distribution greatly increase from the pickup. Forager currently produces a 10 oz. bag of granola for an MSRP of $8.99 but Costco will sell a new 32 oz. bag at a retail price of $10.99. Costco elected to take the company’s original nut and seed granola. The brand, which was founded in 2008, produces a paleo, grain-free, gluten-free granola made without artificial dyes or preservatives. The ingredients are sourced organically and non-GMO.